Happy New Year's Eve! Whether you're doing something fancy out and about or enjoying a chill night at home, I hope you have a great time! Here's my card. Despite it being one of the coldest days of this year (oh you know -35 C with -47 windchills, no big deal), I was feeling inspired by the leaf images on the sketch and decided to pull out some Tropics and Palm Prints! I usually do my ink blending directly on the stamp, but I had recently seen someone use the MISTI and do each colour as a separate impression. I started with the lightest colour- Summer Sunrise. To ensure that you get softer transitions, instead of inking up the second and third colours directly on the stamp, use an ink blending tool. It works SO good! Happy New Year's Eve everyone!! Hope you’re having a great holiday season!! Here's my take on this week's sketch card for you! 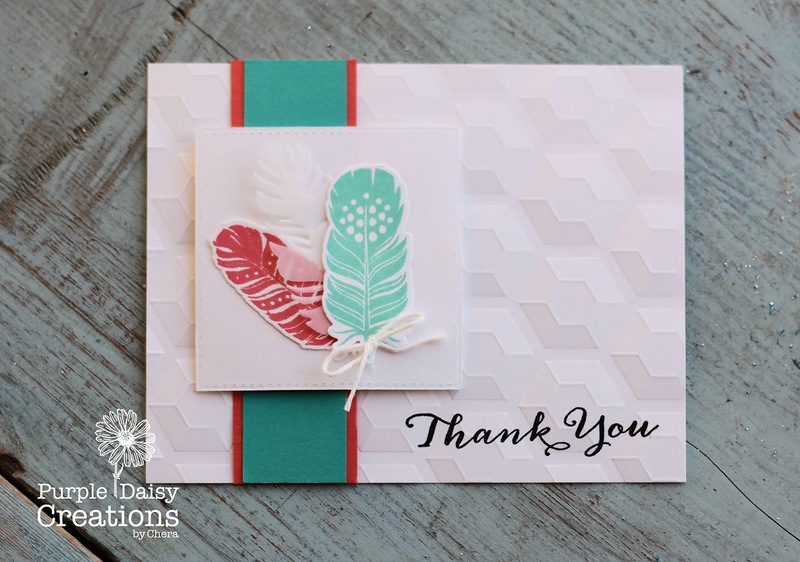 Keeping it nice and simple with Wplus9 fanciful feathers!! 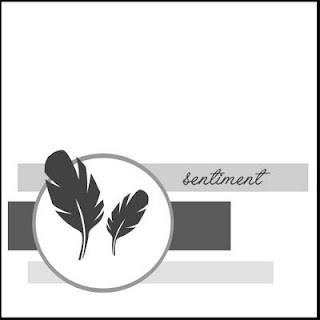 I die cut the feathers and chose the solid image of them to stamp. And for some added texture I also decided to die cut one from vellum! 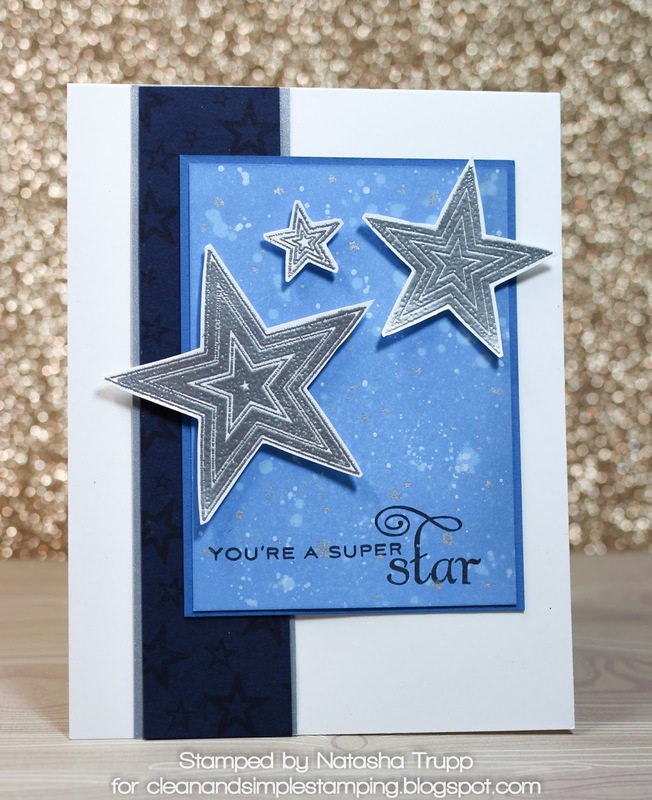 For the background of the card base I pulled out a We R memory Keepers 3D embossing folder just to give some more added texture to the card still keeping it simple! Hope you all have a great New Years and I look forward to creating in the new year!!! Happy Sunday and Happy Christmas Eve! I've got a circle card challenge for you today. 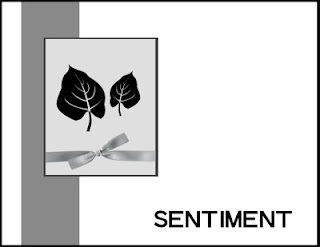 Although if that's too intimidating for you, feel free to place it onto a square card instead. Onto the card! Don't mind the slight tilt to the photo. Because I decided to do a standing shot instead of a flat lay style it rolled a bit to the one side. This is one of those cards that just slowly came together. It started with the circle, of course. 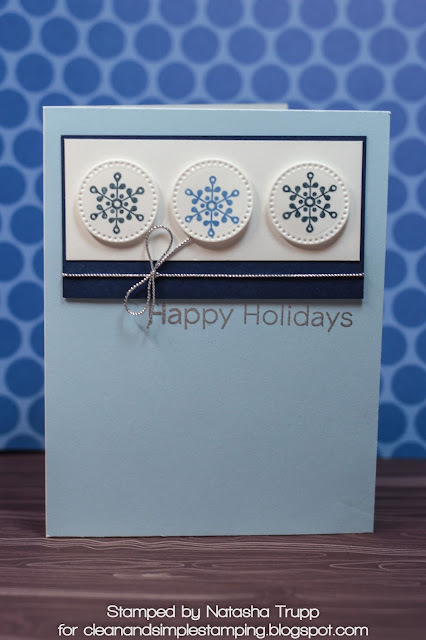 I chose my largest circle die and cut the base and then a layer in Smoky Slate and another layer in white. 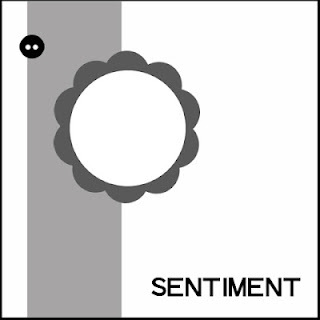 Next I decided on my repeated image element. It's not yet Christmas, so I might as well bring in one last Christmas card to share! I had a few of these Lawn Fawn light bulbs left from a different card project, so I thought, why not use them! I also had the string cut out and I thought that would be a fun element to use in place of the ribbon or vertical strip element. I placed the string piece on my white cardstock and traced a line in pencil so I could cut it out to line up with the string piece. Because the light bulbs were coloured with Distress Oxide inks, I thought I would bring in some more for the background. I sponged it with Salty Ocean, and just a touch of Faded Jeans and spritzed some water. All in all, I think it is a really fun interpretation of the sketch! We've got Chera back this week! 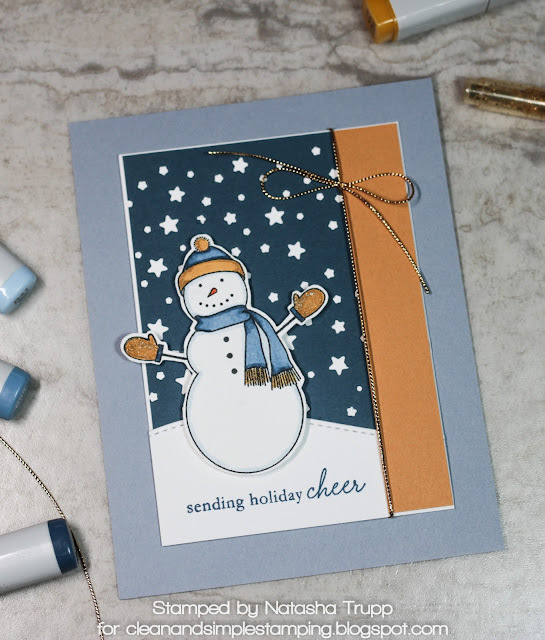 She also made a festive card featuring some snowflakes and one of my favorite holiday colour combos- white, light blue and red! Happy Christmas Eve to you all!!! Hope you're all ready for this holiday season! 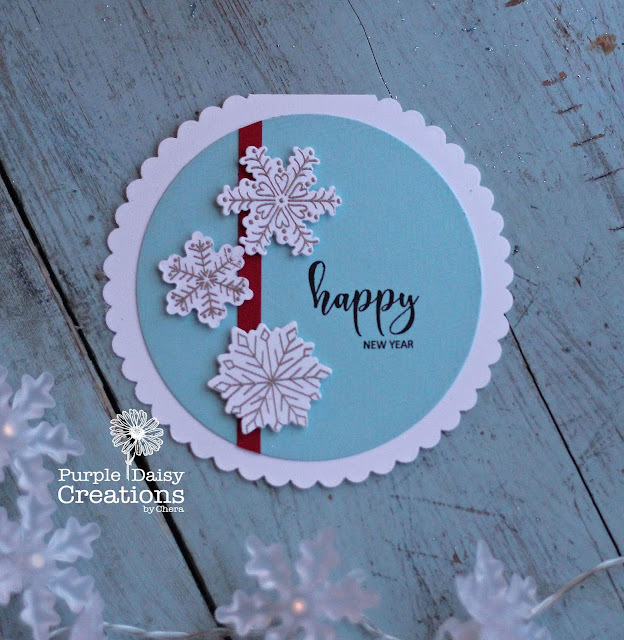 It's not to often I make a circle card but I sure did enjoy making this one!! Almost looks like a Christmas ornament! 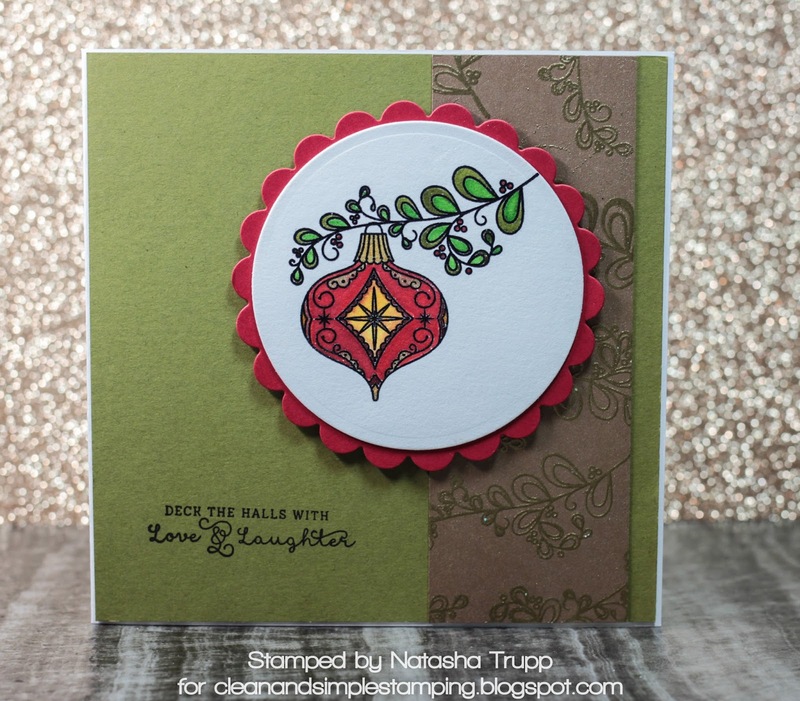 I pulled out my Stampin’ Up! circle die set as that's the largest one I own to make the circle shapes!! Once the base was done I took the circle the next size down from the scallop and die cut it from the blue! The blue seemed a little boring so I clear stamped a background stamp just for some added details on it! 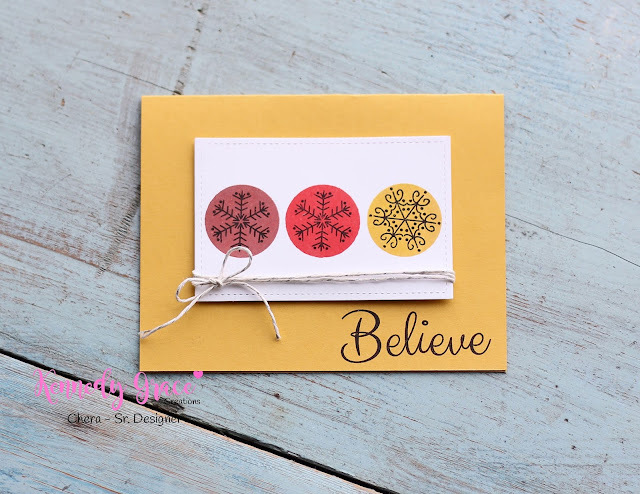 I pulled out the Simon Says Stamp set, Christmas Cheer and die cut the snow flakes out and heat embossed them with some platinum embossing powder. Once that was done I added the red strip of cardstock popped up the snowflakes and added the sentiment! It was actually a pretty quick card to put together!!! I hope you all have a very Merry Christmas and a Happy New Year!! Time for another sketch. This is one I love! It's a good one for when you want to keep something feeling clean and simple, but maybe you want to break out of your usual layout. As much as I am still in the mood for Christmas cards, I needed a few birthday cards, so this one served two purposes-sketch card and birthday card! I started off with this fun 3-tiered cake from the Happy Hippos set. I coloured that with Copics (BG11, BG15, Y32, Y53, YR07 and R32). I attached that to a dotty stitched white circle. I still wanted a bit more contrast, so I die cut one more slightly larger scalloped circle for the frame. 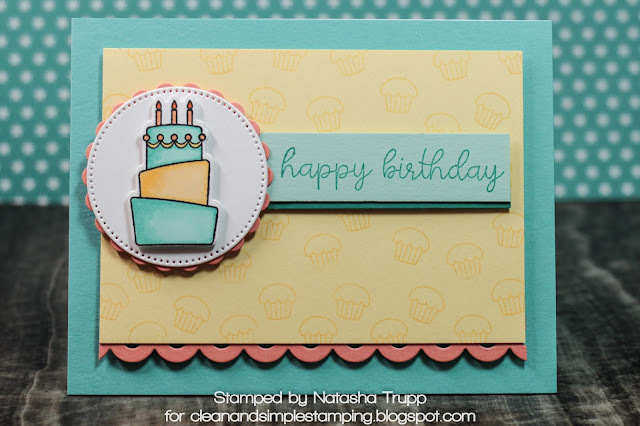 For my lemon layer, I stamped the single cupcake from that same set all over to make a subtle patterned paper. I brought in another scalloped element with the eyelet lace die. 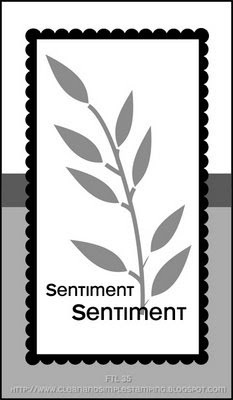 Finally, the sentiment was stamped on some aqua paper and I added a tiny strip of teal for added interest. This is one of those cards that just fell together... 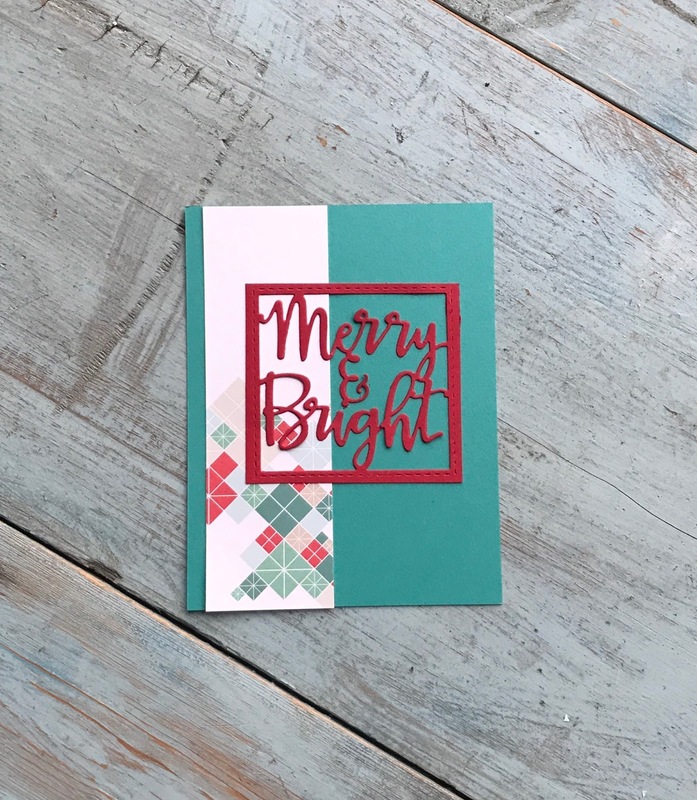 I just recently got a few new Papertrey Ink items, including the Tag Sale: Quilted die and the Sweet Holiday Wishes set. I stamped and die-cut three of the candy cane cookies. Next, I cut out the main scalloped tag. I chopped off the tab, and covered it with the die-cut, stamped "sweet". 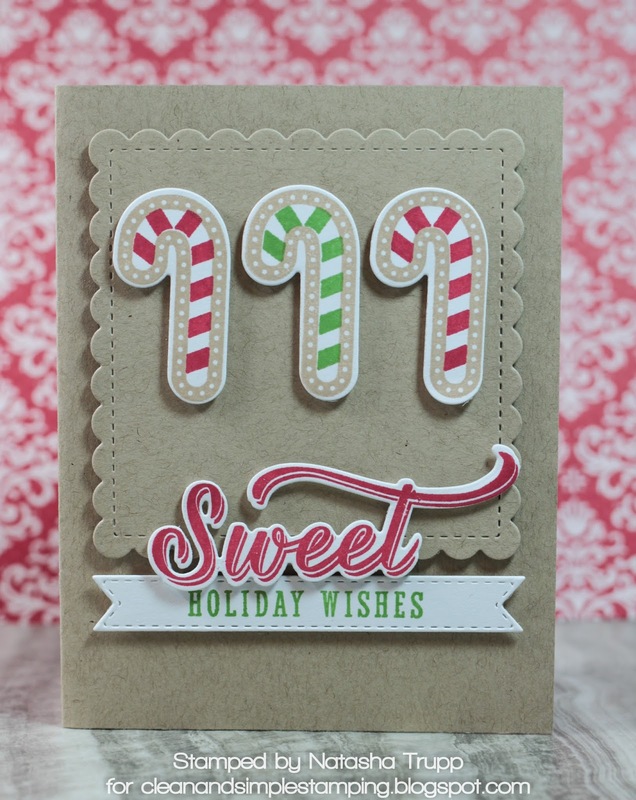 The stitched banner from the tag set works nicely with the "Holiday Wishes" sentiment. 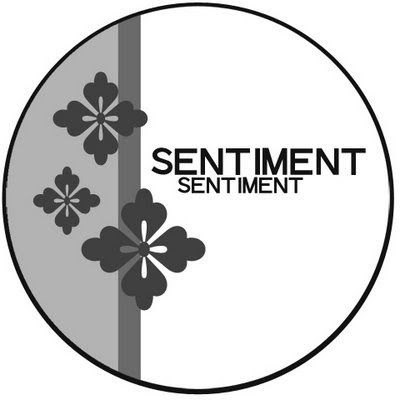 It's a bit long, but I like how it covers the same horizontal width as the word "sweet"
If you play along, please leave a link! I love seeing your projects! 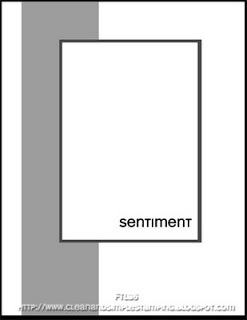 When sketch #45 originally debuted, the idea was to make two 3x3 notecards. However, it's several years later, so I'm going to just do my thing. I decided to only make and feature the first sketch of the two. I don't know why, but I was having issues photographing this one today. It looks skewed, but I assure you, it's all straight! Guess it's too late for me, haha! Anyway, I pulled "a Chera" and flipped the sketch. I also didn't end up including a button. However, I brought a dimensional element to the panel strip by stamping and embossing the little leaf sprig in gold embossing powder. 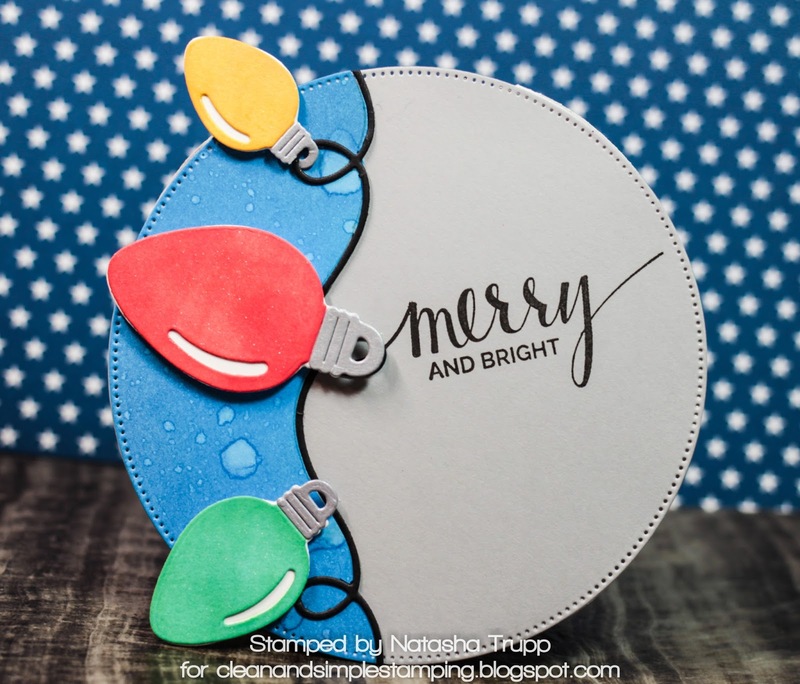 For the ornament and sprig, I stamped it twice on watercolour in archival black ink, then once in versamark so I could add clear embossing powder. 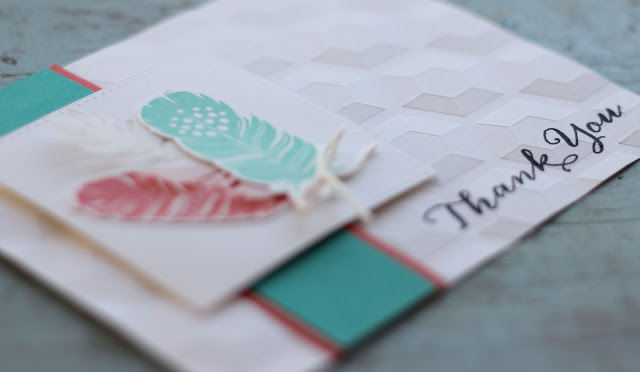 You really get a cleaner look this way than by just using black embossing powder. And if you use the MISTI, it doesn't even take much longer. I watercoloured the image then adhered it to a scalloped Pure Poppy circle. This week's sketch is such a good basic for when you want to feature a background pattern and a sentiment. Here's my card. I brought out some old/retired Stampin' Up products for this one. I started off with this Paisley pattern background stamp. I inked it up with Citron Twist, Peacock Feathers, Salty Ocean, and Blueprint Sketch. I spritzed it with water and pressed it against some cotton paper for several seconds to make sure it transferred well. 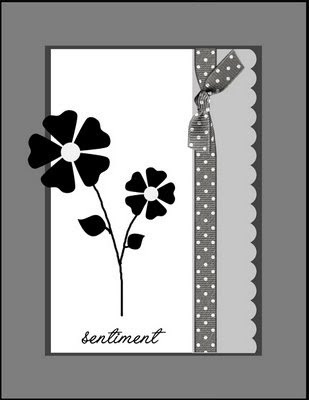 Next I went through my stash and found another old/retired Stampin' Up image that coordinated somewhat with the background image. 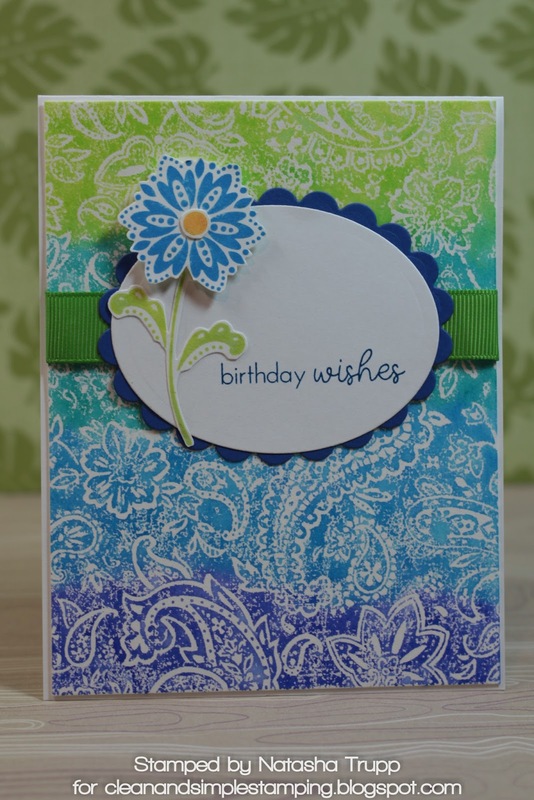 I used the same colours, but in the Distress Oxide ink for the stamping. 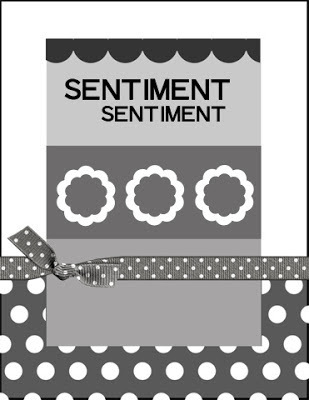 The sentiment comes from Ways to Say: Birthday set. 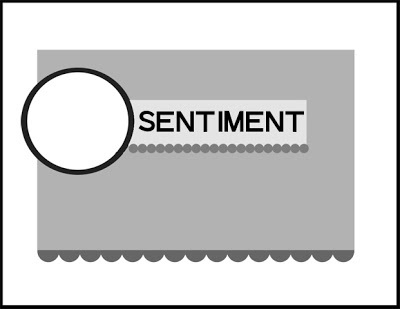 I die cut the sentiment layer and frame using Oval Nestabilities. The final touch was some 5/8 apple green grosgrain ribbon (again another oldie from the stash!). I don't know why, but apparently I felt like walking down memory lane and using old products. I think it's good to do every now and then- assess if you still like the old and can make it current. See if things still fit your current style, that sort of thing. As always, if you play along, please share! I love to see everyone's cards! Hello! Here is this weeks's sketch! Here's my completed card. 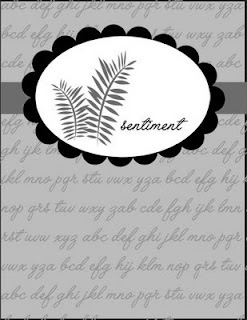 I decided to make a stamped background using the large script from MFT All Smiles. I chose a selection of rainbow themed colours. 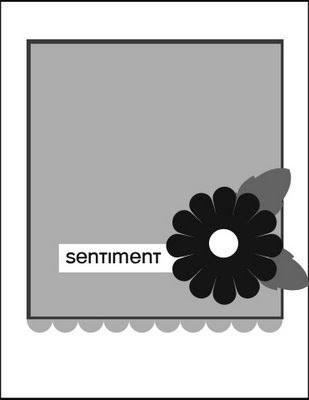 I added a some ribbon and a floral button to the main image and then also added a sentiment from the All Smiles set. 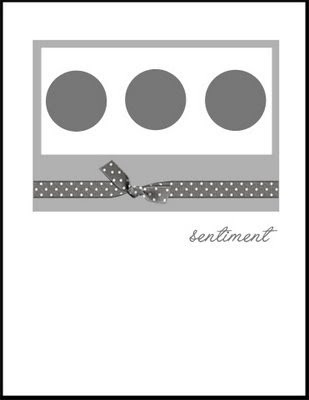 The dots come from an oldie PTI set, Faux Ribbons. I just got this adorable set, Beast Friends by MFT. 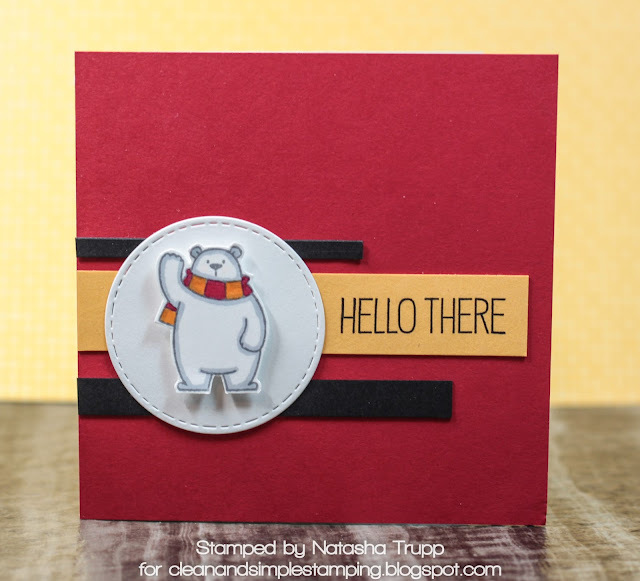 I stamped my scene and masked the Yeti to get the look of the trees behind it. Next I drew the ground using a pencil, and went over it with a black .5 micron pen. The scene was coloured with Copics and I used a white gel pen and a shimmer gel pen to add bits of highlights. To make the rest of the card a little less plain, I ran the green layer through a dotted embossing folder. Happy Sunday and a Happy Thanksgiving Weekend to my fellow Canadians! Here is this week's sketch! I think this may be one of my all time favorites! Again- these are JUST a suggestion. 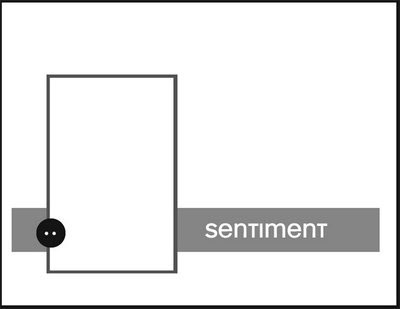 Feel free to interpret the sketch however works best for you! Here is my card! I decided to do something different from the flower suggestion of the sketch. I need to rebuild my Christmas card stash, so I figured, I better start now! 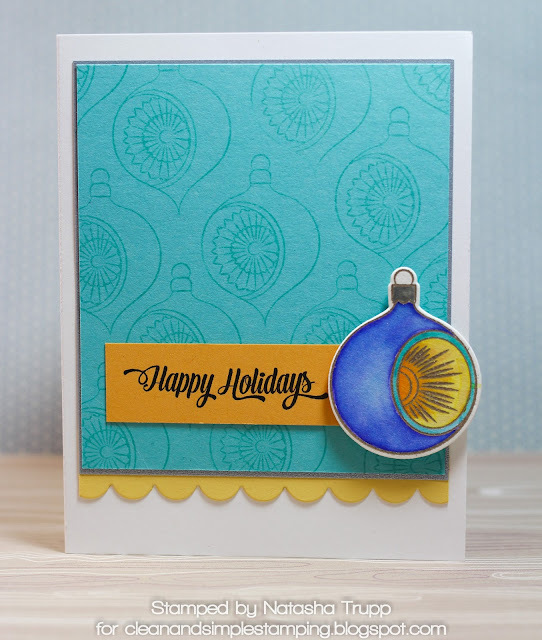 I stamped one of the images from Vintage Ornaments II as my background on Hawaiian Shores. I also stamped another one of these images on watercolor paper and embossed it using Ranger Platinum embossing powder. I watercoloured it with various distress inks. The scallops are out of Harvest Gold and were cut using the Small Scallop Border die. The final touch was a bit of a silver frame for the background and then a sentiment from the same stamp set on a Summer Sunrise strip. This post features affiliate links when possible. It was getting a bit late last night and I wasn't feeling super inspired after a day of teaching/running a card class. However, I went to my craft room, got stuff put away from the event and then sat down to create. I found this bit of splattered background in my scraps and thought I'd use that as a spring board. I decided to go with stars. I added a bit of silver to the background then stamped and embossed three stars from Super Stars. 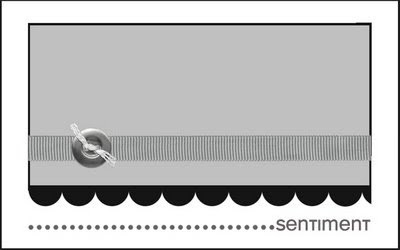 I also used stamps from this set to jazz up the Dark Indigo background strip. 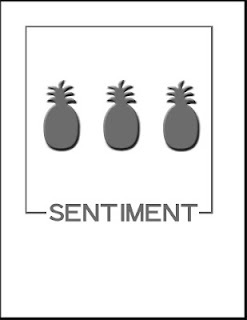 Finally I added a sentiment from Star Prints (retired). Happy Sunday everyone! 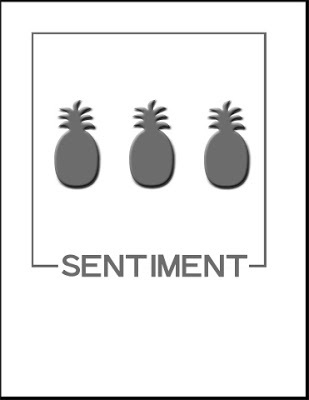 Here's my take on today's card! It actually doesn't involve any stamping! I was digging through my paper stash and found this paper. I'm thinking it's from an older Simon Says Stamp card kit! I didn't want to cover up the design on the paper so I pulled out this Lil' Inkers die! So if you're looking for a 10 minute or less card this ones for you! I look forward to see what you create!! If you play along, please remember to leave a link. We love to see your projects! 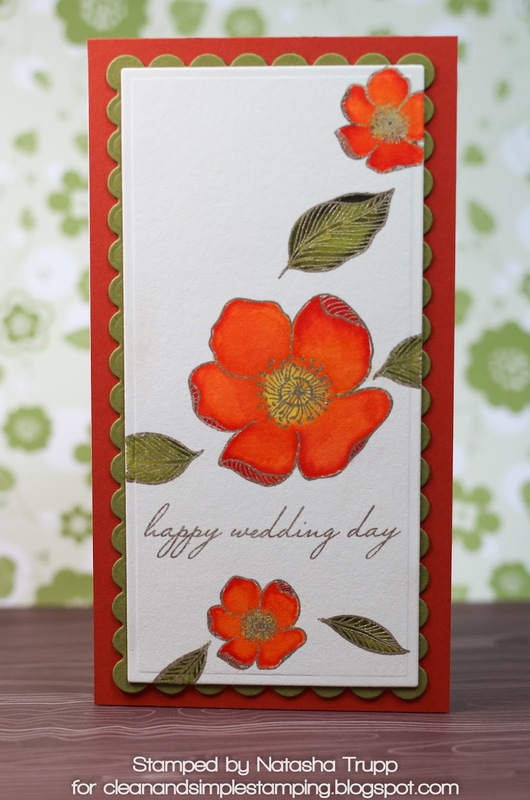 I've got a wedding card inspired by fall colours today. I really love using the platinum embossing powder for outlines and watercolouring detailed images with Distress Inks. We're taking things a bit outside the standard A5 card. I made my card 3.5 x 6.5. This card size is ideal for a wedding card in case you are deciding to include cash or a cheque inside.